In our family, this Immune Boosting Smoothie has seriously seemed like magic! With two kids in school, lots of after school activities, and two little ones in church nursery every week, we have a ton of germs coming into our house. We all eat pretty healthy, I try to keep a decently clean house, I make the kids wash their hands when they get home and before we eat, etc, etc, etc … and somehow we were still getting sick every other week! One child would start the illness and pretty soon it had made its way though the entire family! Then, just as the last person was finally getting healthy the whole thing would start over again! I was seriously getting so frustrated. So, I started searching for information on any foods that might help boost our immune systems. Once I gathered a list, I started throwing all of them into my Blendtec every morning. We each have a little glass with our breakfast, or occasionally I’ll make extra and have a big glass as my entire breakfast. You guys, we haven’t been sick in over a month! That may not sound like a big deal to you, but it seriously feels like a small miracle to us. 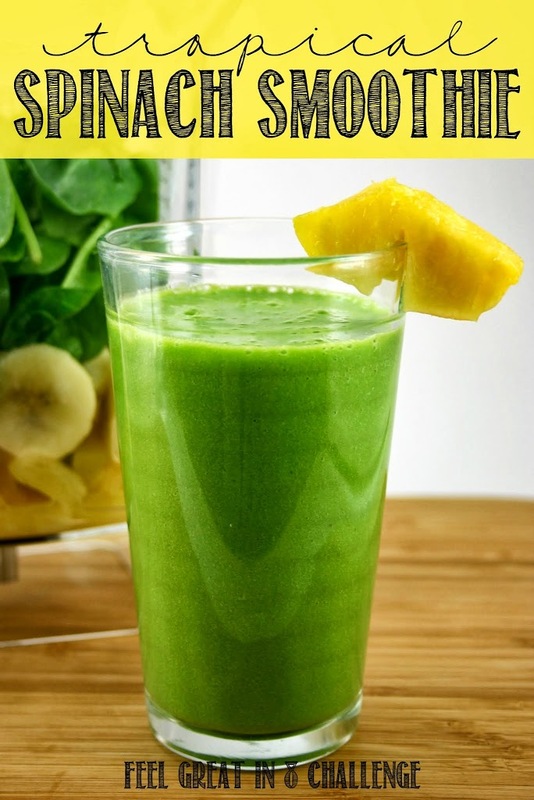 We are finally staying healthy and I’m seriously going to be making this smoothie every day this winter! Greek Yogurt: Look for labels listing “live and active cultures.” Some researchers believe they may stimulate your immune system to fight disease. Also look for vitamin D. Recent studies have found a link between low vitamin D levels and an increased risk of cold and flu. Spinach: Known as a “super food,” spinach is nutrient-rich. It has folate, which helps your body produce new cells and repair DNA. And it boasts fiber, antioxidants, such as vitamin C, zinc, and more. Kiwi: Packed with vitamin C, D, B6, B12, K, zinc, folate, fiber, and other nutrients, kiwi is perfect for boosting the immune system and preventing a cold or sickness. Flaxseeds: Omega 3s and lignans within flaxseeds help strengthen the immune cells. Berries: Researchers found that dark berries like blueberries contain compounds called stilbenoids, which work with vitamin D to increase expression of the human cathelicidin antimicrobial peptide (CAMP) gene, which is involved in immune function. Blend until smooth. If using a regular blender, you may need to stop and scrape down sides once or twice. *Actual nutrition info may vary based on exact ingredients used. Find complete nutrition info on MyFitnessPal as FG8 Immune Boosting Smoothie. HEALTHY TIP: Get a big bag of spinach and throw it right into the freezer. 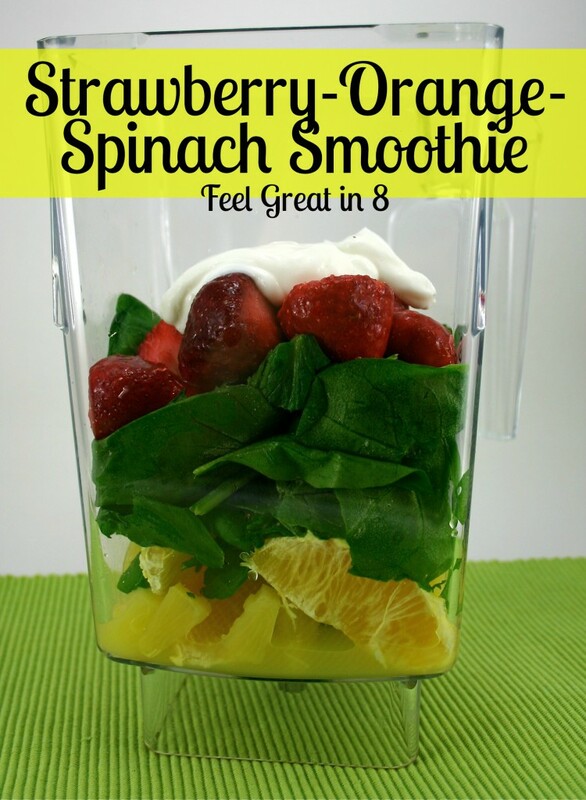 It won't go bad and frozen spinach works great in smoothies! I was wondering if there was another fruit I can sub for the kiwi? I live in west Texas and kiwis are hard to come by! I’ve been sick 3 times since October so I would love to try this out!